Yet, after the war, the service of these veterans was largely forgotten and none of them qualified for benefits. It wasn’t until a federal ruling in 1988, following a decade-long court battle, when some finally qualified for limited services from Department of Veterans Affairs. Still, nearly seven decades later, a good number of the estimated 10,000 remaining survivors have never possessed the onerous documentation required to receive these belated benefits. The New York journalist Helen Brown was well placed to record the heroism of these seafarers; her second husband, Jack Lawrenson, whom she married in 1939, had shipped from Ireland as a merchant seaman and upon his arrival in New York in 1937 he became a cofounder and leader of the National Maritime Union. When the couple met, Helen had already established her credentials as a writer, serving as an editor of Vanity Fair before becoming Esquire’s first woman contributor. The year of her and Jack’s marriage she collected some of her journalism in the provocatively titled The Hussy’s Handbook. 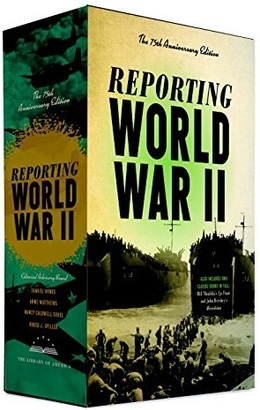 Almost exactly seventy years ago, during the first year of American participation in the war, she wrote her account of the Merchant Marine based on information and anecdotes gleaned from her husband’s associates. Jack Lawrenson was eventually forced out of the NMU in 1949, during a period of violent political upheavals and intense red-baiting within the union, and he died in 1957. His wife lived for another quarter century and enjoyed a brief period of notoriety in the mid-1970s (as noted by a profile in People) when she published Stranger at the Party, a memoir of her bohemian life in Manhattan’s Greenwich Village during the 1930s, and revealed details of her four-year affair with Condé Montrose Nast, her former boss and the founder and publisher of Vanity Fair. A group of sailors are drinking beer at a bar called George’s in Greenwich Village. The juke box is playing “Deep in the Heart of Texas,” and every time it stops someone puts another nickel in and it starts up again. . . . If you don't see the full story below, click here (PDF) or click here (Google Docs) to read it—free! A very fine story written in a sense of reality & vitality. A reminder of things past when I was young & could see the burning ships from the shore & the oil tars on the beach. I will send this to my sons & grand children. It is a clearer recall of the earlier years just before the war (WWII) and for some years into the war tthan I have ever seen. 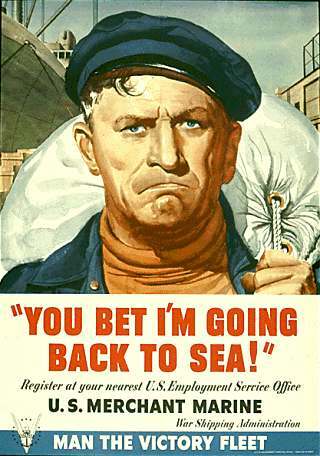 I was six or seven when my cousin would come home once a year on leave from the Merchant Marine. He was my hero, and had many stories to tell, stories that made me want to be like him. He also had a new girfriend each time he came and I loved them, too. Great account of how American citizan/heros keep this nation free.